Curb Chain lenght 90,0 cm with karabiner. A heavy breadth chain for men..
Curb Chain lenght 100,0 cm with karabiner. A heavy breadth chain for men..
Curb Chain lenght 80,0 cm with karabiner. A heavy breadth chain for men..
Curb Chain lenght 95,0 cm with karabiner. A heavy breadth chain for men..
Curb Chain lenght 90,0 cm with karabiner. A heavy breadth chain for men and women..
Curb Chain lenght 100,0 cm with karabiner. A heavy breadth chain for men and women..
Curb Chain lenght 100,0 cm with karabiner. A heavy extra breadth chain for men..
Curb Chain lenght 55,0 cm with karabiner. 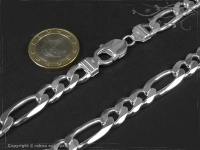 A heavy extra breadth chain for men..
Curb Chain lenght 95,0 cm with karabiner. A heavy extra breadth chain for men..